This is from one of my all time favorite books, The SAS Survival Guide by John "Lofty" Wiseman. I got my hands on a copy when I was about 10 and read it cover to cover many times. 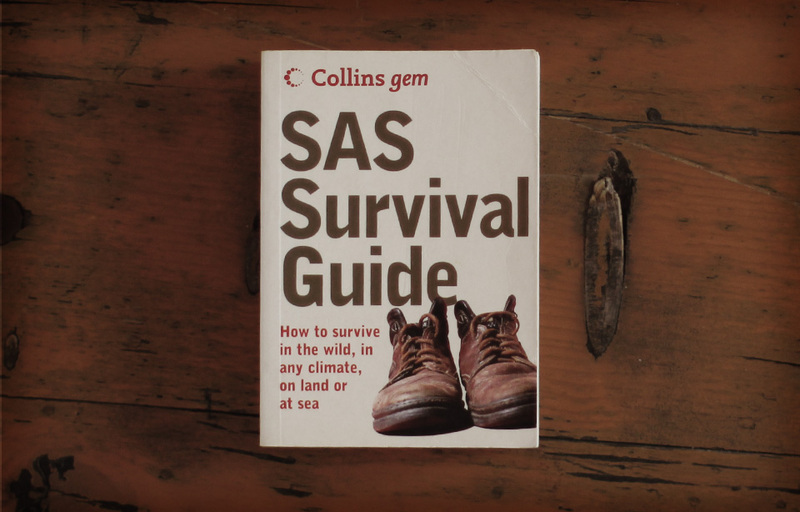 I even made my own SAS survival kit based on Lofty's instructions. This book is full of useful stuff. Wiseman is the real deal he served with the Regiment for 26 years. He was "Sergeant Major, B Squadron (Sabre Sqn) 22 SAS, Sergeant Major 22 SAS Training Wing, Head of Operational Research 22 SAS, set up the SP Team (Counter Hi-Jack), he set up the SAS Counter-Terrorist Team and trained the first members of the US Green Berets to return to the USA to form the famous Delta Force (US Special Forces)." Like I say - the real deal. It is still in print and is easy to find. This is a great tip for dealing with wet matches. Tip 006 – Drying a wet match. Posted on November 11, 2012 by admin and filed under Tips from the Archive and tagged drying matches John Wiseman Lofty Wiseman SAS SAS Survival Guide Tips.